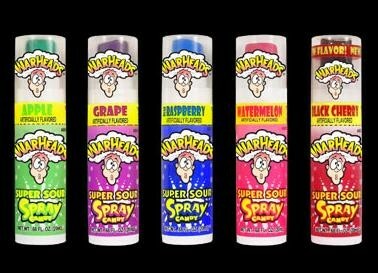 Warheads Spray (12 count) from Impact Confections, super sour candy spray that zaps your mouth with four assorted fruit flavors. 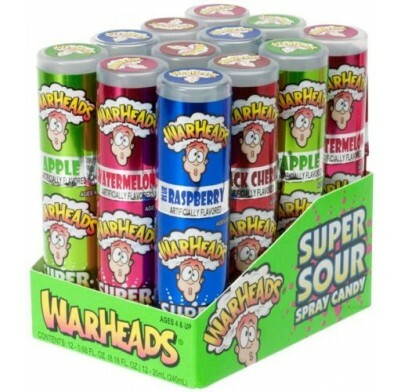 Flavors are Apple, Grape, Strawberry and Blue-Raspberry. 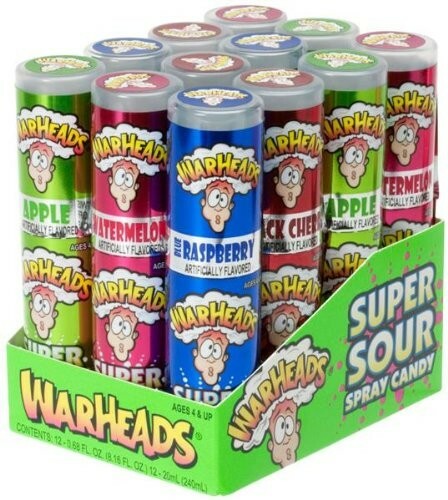 12 spray bottles per display box.